The USDA Forest Service, Prince William Network and partners bring nature learning to you through our series of webcasts, webinars, and online education resources. No matter where you are in the world, visit our LIVE programs for exciting, on-site learning about caves, grasslands, climate change, fresh water, bats, butterflies, wetlands, and more! 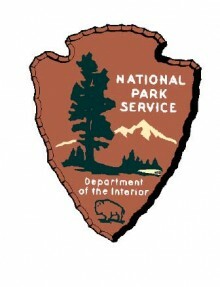 Established in 1905, the Forest Service is an agency of the U.S. Department of Agriculture. The Forest Service manages public lands in national forests and grasslands. Gifford Pinchot, the first Chief of the Forest Service, summed up the mission of the Forest Service "to provide the greatest amount of good for the greatest amount of people in the long run." National forests and grasslands encompass 193 million acres of land, which is an area equivalent to the size of Texas. Prince William Network (PWNet) is a part of Prince William County (Virginia) Public Schools and provides quality, distance-learning opportunities to students, educators, and communities across Virginia and the nation. PWNet is a leading provider of live, electronic field trips for students and has won numerous national awards. Electronic field trips bring the excitement of learning to remote places with the ability to converse with experts. National Park Trust (NPT), a land trust and environmental education nonprofit, is dedicated to preserving parks today and creating park stewards for tomorrow. The Grizzly & Wolf Discovery Center is an AZA accredited Not-for-Profit, wildlife park and educational facility. The Center offers every visitor to Yellowstone a chance to uniquely experience the world of grizzly bears and gray wolves. All the animals at the Grizzly & Wolf Discover Center are unable to survive in the wild and serve as ambassadors for their wild counterparts. The Natural Inquirer program produces a variety of science education materials for PreK through grade 12. Natural Inquirer products are produced by the USDA Forest Service, the Cradle of Forestry in America Interpretive Association (CFAIA), and other cooperators and partners. Yellowstone National Park, the first national park in the United States, is located in Wyoming, Montana, and Idaho. The park is known for its wildlife and many geothermal features, especially Old Faithful geyser, one of its most popular features. Check out the Nature Watch web site to: find places to watch nature; learn how to be safe in the wilderness; check out citizen science activities; link to web cams; and more. Nature watching can include gazing at animals from a viewing site, searching for spring wildflowers, observing the changing seasons, or immersing oneself in the clear waters of a national forest stream, among other activities. Engaging in nature watching activities leads to greater personal connection to the environment and the natural resources we all share. The National Environmental Education Act of 1990 established the National Environmental Education Foundation (NEEF) as an independent non-profit organization complementary to the U.S. Environmental Protection Agency (EPA), extending its ability to foster environmental education for all ages and in all segments of the American public. The mission of the National Forest Foundation is to engage Americans in promoting the health and public enjoyment of our National Forests. Our National Forests and Grasslands are at the core of America’s natural riches, and yet, today these treasures are threatened by unprecedented challenges.